One way to look at this weekend is to say that we have lost an hour or we had to repay the hour we stole in the fall. Benjamin Franklin came up with this idea of manipulating time in order to have more daylight. The point was it would give us another hour of light for productivity. We’re using the light, but the productivity part is questionable. I would like to borrow Ben’s concept of “springing forward” to make a point. Many are suffer with and from a troubled past. If we are not constantly reminding ourselves about what we’ve done wrong, there’s always someone else ready to take this job over for us. We are unable to move forward because we are stuck in the past. It’s hard to move ahead when you’re constantly looking back. 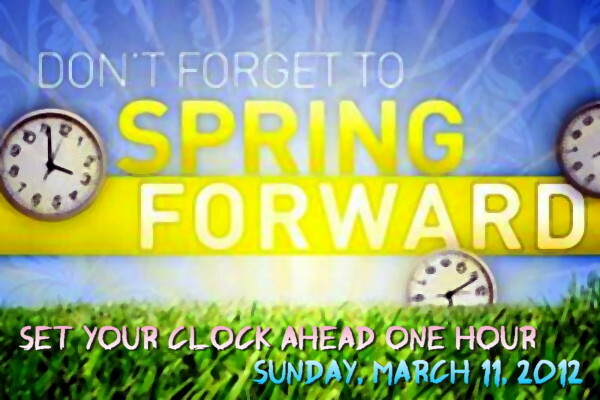 We all need to consider the idea of “springing forward” to a better place than where we are today. To not be complacent or content with mediocrity, but be the best we can be. The Apostle Paul instructs us this way: “… forgetting what is behind and straining towards what is ahead, press on toward the goal to win the prize for which God has called me heavenward in Christ Jesus.” (Phil. 3:13,14). This is our springing forward! This is our time to let go of bad things from the past and press toward the mark today. Don’t allow the circumstances of the past to dictate what your future looks like. Previous Post Make a habit of it!